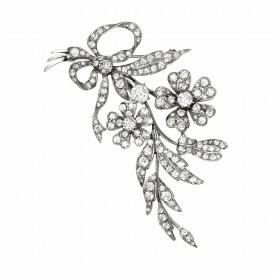 Such a lovely floral spray brooch by English costume jewellery Ciro Pearls. 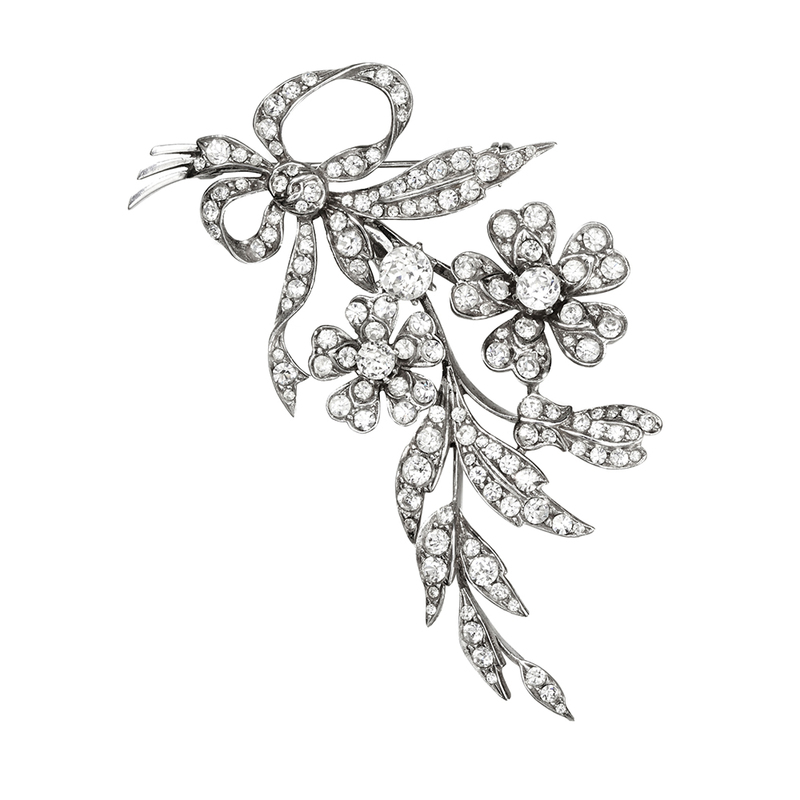 Made of sterling silver set with crystal rhinestones in a delicately articulated design made up of three pieces, fully hallmarked. One of the few British costume jewellers, Ciro started as a mail order company in 1917 and opened their first shop in London in 1920. Ciro was one of the first jewellers to offer cultured Pearls and the "Ciro Pearl" was an affordable alternative to true pearls. In the 1920's Ciro excelled and opened shops in Pairs, New York and Berlin. Sadly like many of their contemporaries, Ciro struggled in the 1970's and 1980's and went into receivership in 1994. The company was bought by John Shannon, it continues to operate today and retains its flagship boutique in Burlington Arcade. 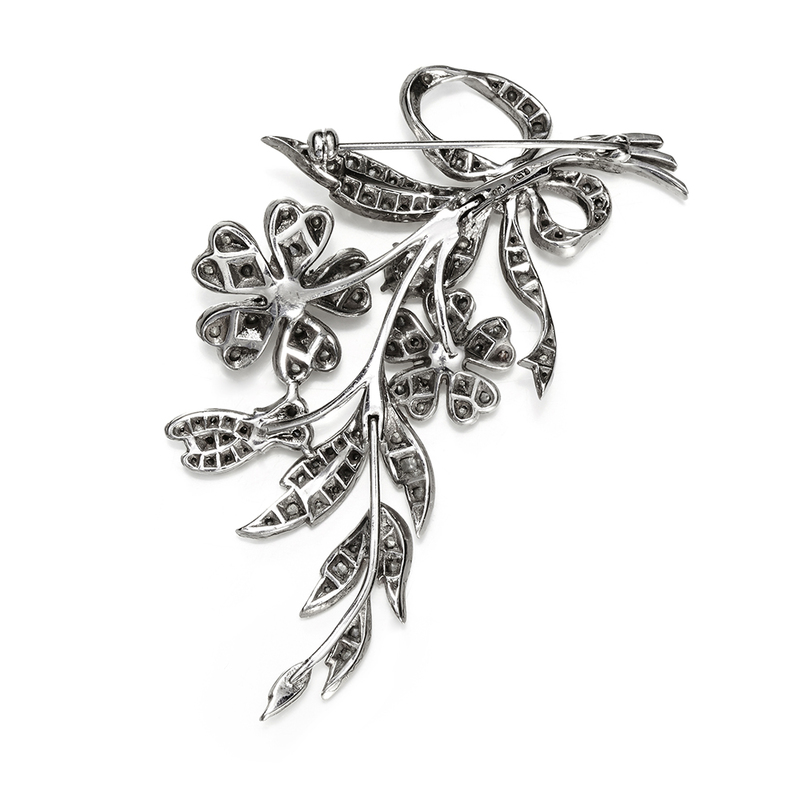 Ciro are known for their Pearls and fine Art Deco style Sterling Silver pieces set with high quality paste stones designed to imitate fine jewellery.